I feel like it has rained everyday for the last two weeks! 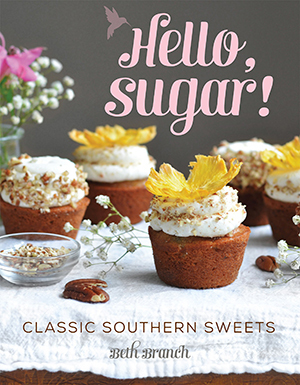 That’s so typical of Southern summers though. 10 minute thunderstorms in the afternoons and humid alllllll day. So today we’re taking a break from that and pretending we’re on a tropical vacation. I recently came across this Easy Rum-Soaked Grilled Pineapple from Gimme Some Oven, which I think is actually from awhile ago. But it was one of those things that you see and you’re just like, ohhhhhh yes. 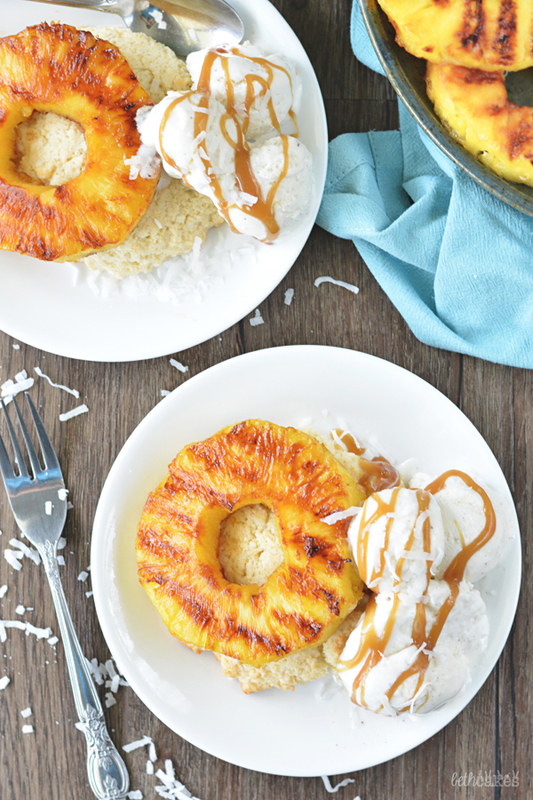 Well, these Coconut Rum Grilled Pineapple Shortcakes are kind of my version of that. Coconut rum is one of my favorites, so once I got that idea in my head, I could NOT get it out! 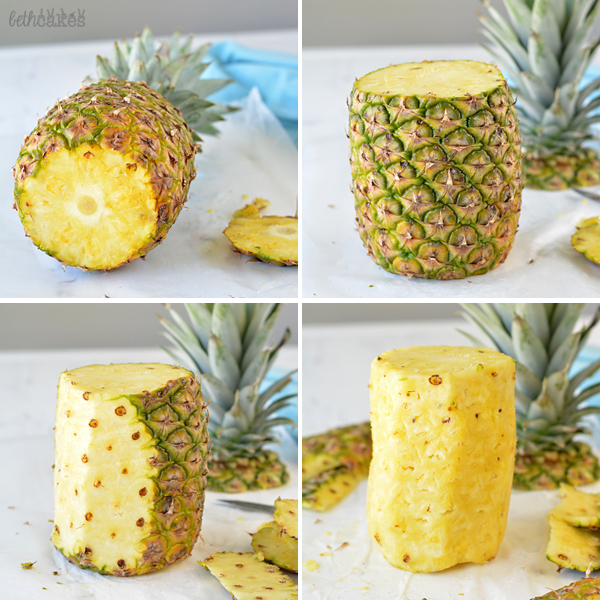 I had never cut up a whole pineapple before, so let me just say that while I’m excited to check that off my list of things to do, you can definitely use pre-sliced or canned pineapple rings. Also, I sadly don’t have room for a grill at my apartment, so I used a grill pan and it worked wonderfully. Let’s talk about how this works! There are basically three components to these shortcakes: the pineapple, the shortcakes, and the sauce. 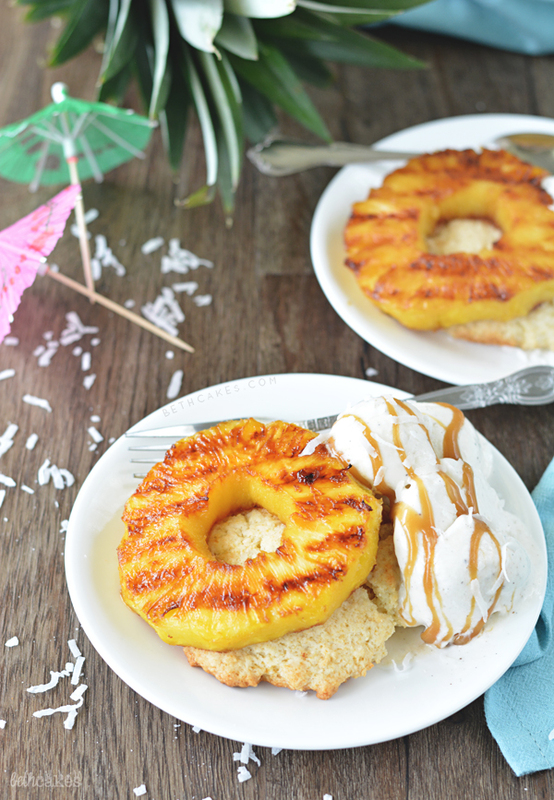 The pineapple soaks in a mixture of coconut rum and brown sugar for about half an hour, and then it’s ready for grillin’. The leftover sauce is poured into a saucepan and brought to a simmer or a low boil. Then it cooks until it thickens up and resembles caramel sauce (let’s just think about coconut rum caramel sauce for a moment), which you can drizzle ALL OVER some ice cream. These shortcakes are kind of like biscuits, just a little bit sweeter and slightly cakey. 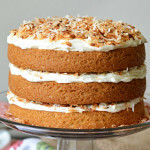 There’s coconut in them too! 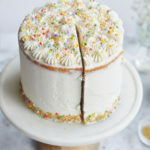 The batter is like lumpy cake batter that you just drop right onto a baking sheet and bake. Then when all of that is done, assemble the shortcakes and serve ’em up with ice cream! Place the pineapple slices in a shallow baking dish. Stir together coconut rum and brown sugar and pour over the pineapple, then let the dish sit in the fridge for at least half and hour. Heat a grill pan rubbed with olive oil (or your grill!) over medium heat. Lay pineapple slices on the grill pan and grill 3-4 minutes per side. Set aside to cool. If you'd like, you can make a carmel-like syrup with the leftover coconut rum and brown sugar. 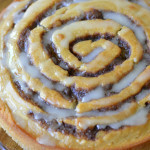 Just pour it into a sauce pan over medium heat, bring it to a simmer, and let it cook until it thickens, about 10 minutes, or until the syrup falls in ribbons. Let it cool before using. Preheat the oven to 425 degrees and line two baking sheets with silpats or parchment paper. Combine flour, baking powder, sugar, and shredded coconut in a food processor, and pulse to mix. Add the cold butter and process until the mixture resembles slightly lumpy sand. Transfer flour mixture to a bowl, and add coconut extract and milk. Stir until combined. Drop shortcake dough into 8 equal portions on the prepared baking sheets. (Shortcakes will spread a lot while baking.) Brush melted butter over shortcakes and bake for 20-25 minutes or until lightly browned on top. Let the shortcakes cool completely. 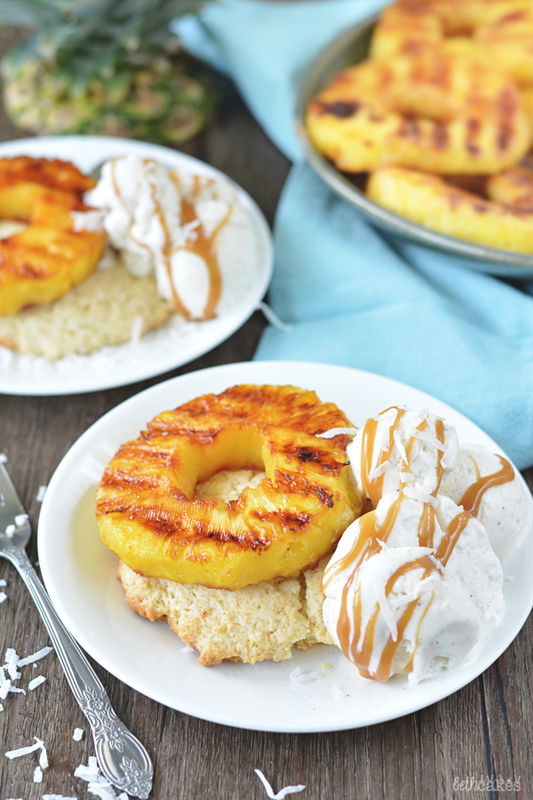 Place pineapple slices on top of shortcakes. Serve with a scoop of ice cream and drizzle with caramel sauce. You totally have to try it grilled! Thanks, Annie! A girl after my own heart. Boozy soaked fruit, coconut, ice cream. YUM!! I have been buying a fresh pineapple every week at the store! It’s time I make something with it instead of just cutting and eating! Whenever I look at the weather forecast it just shows thunderstorms every day haha oh summer. 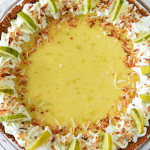 What a great tropical dessert! I was in Chicago last week and it rained the entire time, minus one day. I’m back in Baltimore this week and it looks like the rain followed me. 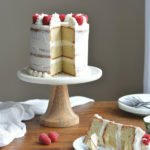 This shortcake recipe is the perfect treat for a rainy day. Love the grilled pineapple. I only ever have berries on my shortcakes, but looks like I have been missing out!